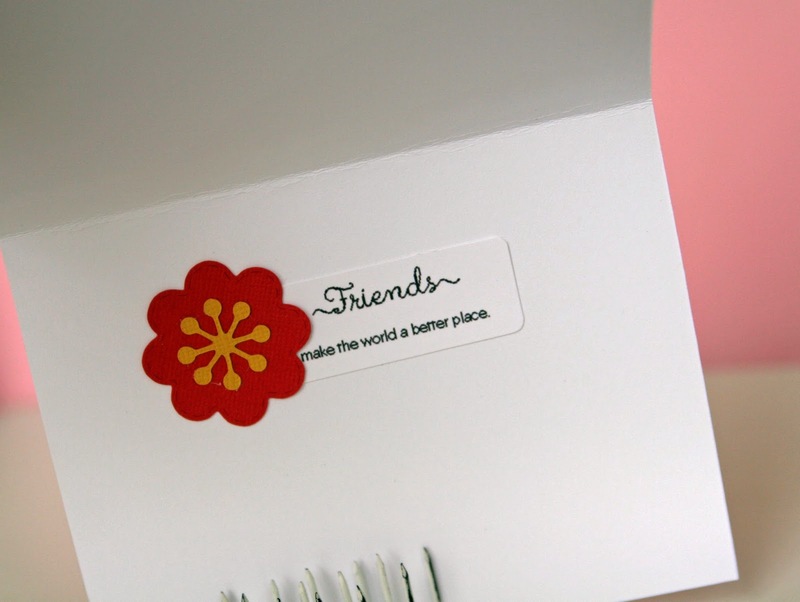 Liz's Paper Loft: MCT April Release Sneak Peek Day 3 ~ Friends! Whew! Can you believe it already Day 3 of My Creative Time April Release Sneak Peeks!!! I know that you've been drooling over all the projects from the other girls on the Design Team, just as I have!!! Today the two sets that are being featured are Wishing You Were Here and Stitched Pretty Flowers and Leaves dies. I'm showing both sets on my card. I love mixing and matching older MCT products with new. Like the Vintage Stitched Label Dies, I think these new flower dies will be a staple for many projects to come! Cute card. Love the flower! Hi Liz OMG what a pretty card love the colors so Summer for sure and boy I'm ready for warm weather cute ideas how you used Miss Emma's goodies. Love the embossing too. Great pics sure show off the stitching on the dies. Love how you did the inside too. Sooo can't wait to get it all!! What a beautiful card Liz! LOVE the colors!!!! Your card is gorgeous! I love the colors you used!! Super Super cute!! Love the bright colors and layout! 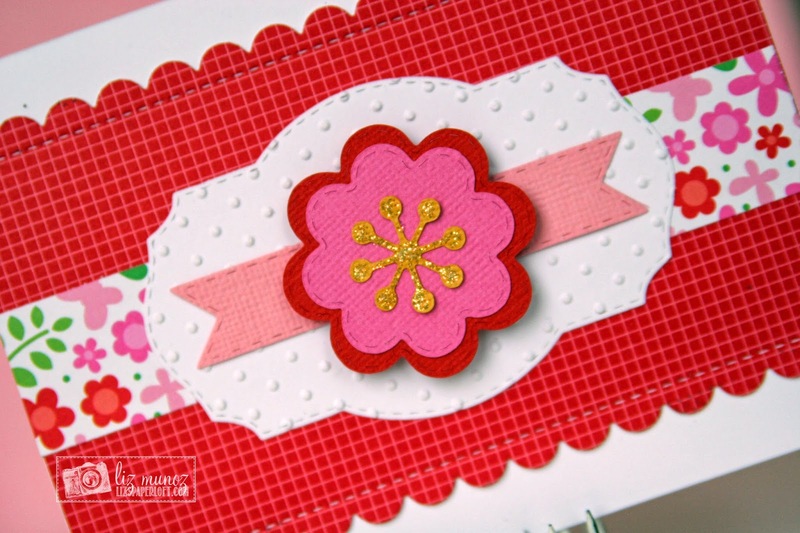 Super cute card Liz, the colors are bright, cheery and fabulous! Liz ~ Well what a BEAUTIFUL card! I LOVE the older dies you chose to use with this ~ they fit PERFECTLY in them!! As always AMAZING creation! very pretty colors and I like the sparkle. Super Cute! I love the flowers in this release! Thanks for sharing! So bright and cheerful!!! Hope you are having fun on your trip!! Bright, Happy and Cheerful! Love the texture too! A bright, cheerful card. Love the reds. fun idea to put the flower inside also. I never remember to do something like that. thanks for sharing. Such a beautiful card. I love the colors you used for your card. This is a fantastic release. Beautiful card! So cheerful and bright. I love how you put together all the elements of the card using both old products and the new release. I really like that flower center with the extra sparkle on it. Beautiful, I love the colors very bright, thanks for sharing! such pretty colors to show off the dies!! Cute card ~ love the colors!! Fabulous job! Love your card, and the colors you used. I can't wait for this release:) Thanks for sharing! Your card is so bright and cheerful! A very fun card. Such a pretty, fresh card! Love all the texture and bright colors! The new release has been awesome and I can't wait to play with it. I like how the embossing looks on the label...it really helps to show off that beautiful flower and great papers. 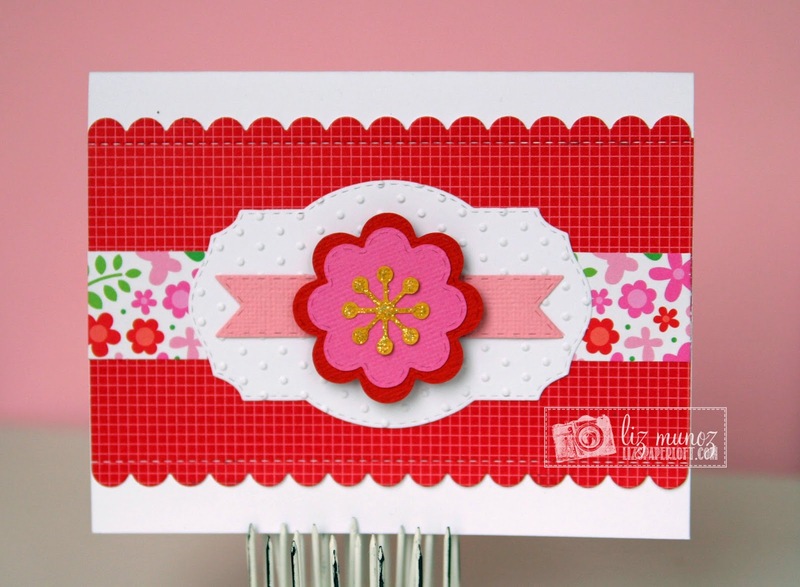 The scalloped strip compliments the flowers...so pretty. Fabulous job! This is so pretty! I love those colors together!! Too cute! I love the layout and happy colors of this card!